"Unbowed,Unbent, Unbroken" ... this song title from the new TORIAN album 'God Of Storms' could also symbolize the band's history. Perseverance and unconditional faith kept the German power metal band in the game since its foundation in 2002, and with a lot of passion and enthusiasm, TORIAN have achieved a remarkable status in the underground scene over the years. Now, in 2018 and with their fourth studio album, the band is making a quantum leap: The group around singer Mark Hohlweck never before sounded as sophisticated, infectiously catchy and hymn-like. 'God Of Storms' is a welcome surprise; an album with which TORIAN do not have to hide from international greats in any way. Fans of Orden Ogan, Gamma Ray, Running Wild, Hammerfall and Dream Evil will especially enjoy the treasure that is ‘God Of Storms’. Producer Seeb Levermann (Orden Ogan, Rhapsody Of Fire, Brainstorm), who was brought on board already for the self-released EP ’Phantoms Of The Past’ in 2016, has done an incredible job once again. The ten tracks - which were mostly written by guitarist Carl Delius - shine and impress throughout. Rarely does one get to hear an album that is so catchy, but also shows no signs of wear even after the umpteenth spin. 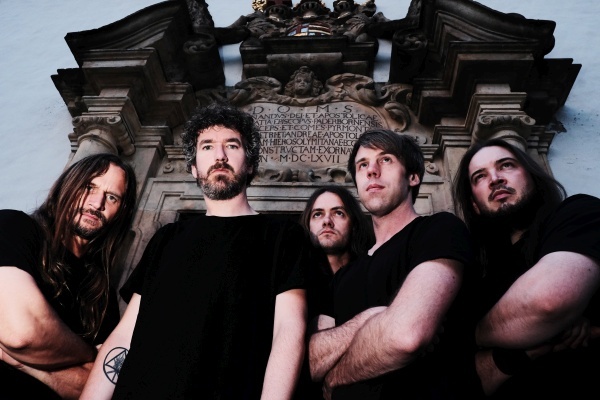 "Well over half of the songs on 'God Of Storms' are already part of our live setlist," says guitarist Carl Delius. "The feedback is great and you can hardly highlight a single song because all the new numbers ignite on stage. 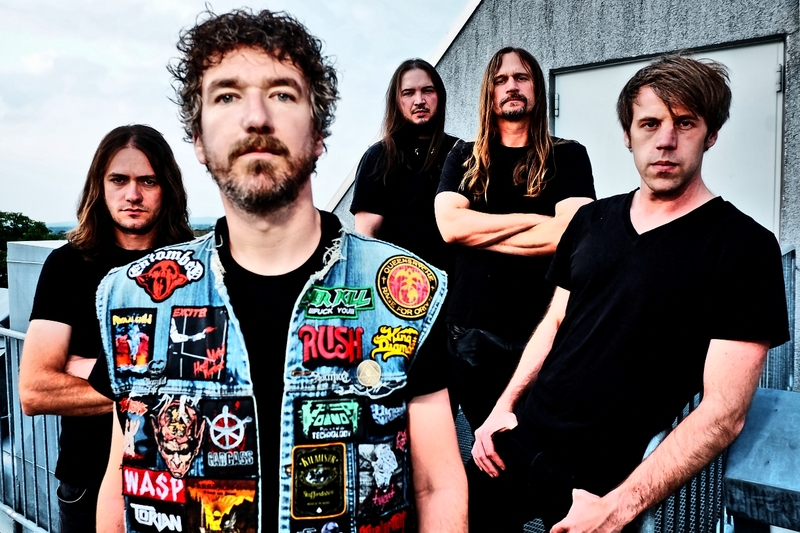 After concerts with Sabaton, Dragonforce, Orden Ogan, Overkill, Annihilator and Vicious Rumors in recent years, we want to play live more than ever." The cover artwork for 'God Of Storms' was created by Claudio Bergamin (JudasPriest, Battle Beast). In addition to the CD, two vinyl versions (clear blue - limited to 250 units; and black) are also available. 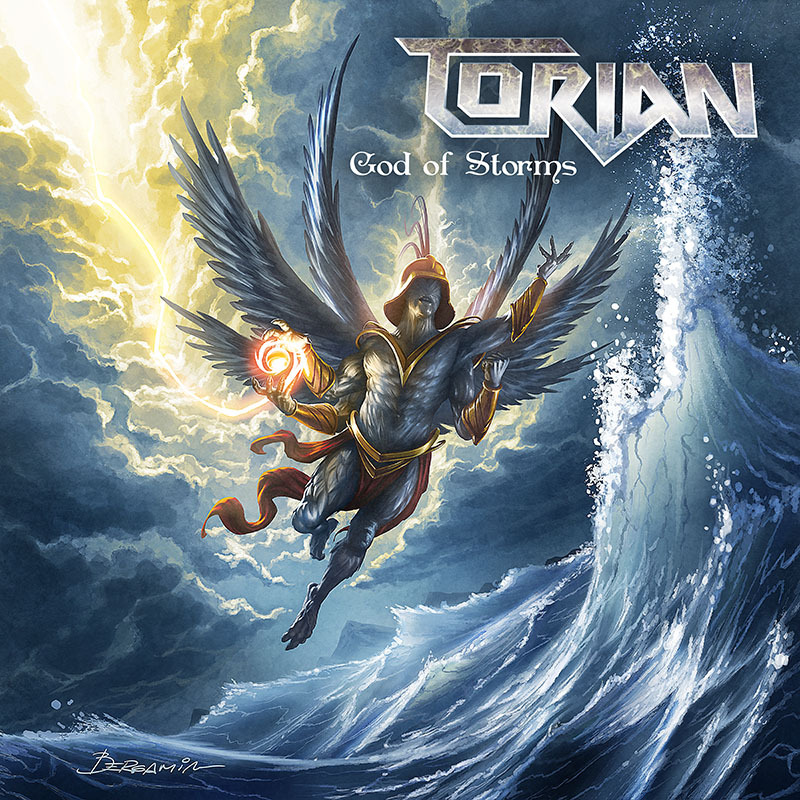 "Unbowed, Unbent, Unbroken“… dieser Songtitel vom neuen TORIAN Album ‚God Of Storms‘ könnte auch sinnbildlich für die Geschichte der Band stehen. Durchhaltevermögen und unbedingten Willen legen die Paderborner Power Metaller schon seit ihrer Gründung im Jahr 2002 an den Tag und mit viel Leidenschaft und Enthusiasmus konnten sich TORIAN im Laufe der Zeit einen beachtlichen Status im Underground erspielen. Nun, 2018 und mit ihrem vierten Studioalbum, legt die Band einen qualitativen Quantensprung hin: So ausgefeilt,eingängig und hymnenhaft kannte man die Gruppe um Sänger Mark Hohlweck bisher nicht. ‚God Of Storms‘ ist eine willkommene Überraschung; ein Album, mit dem sich TORIAN nicht vor internationalen Größen verstecken müssen. Produzent Seeb Levermann (Orden Ogan, Rhapsody Of Fire, Brainstorm), der schon zur 2016 in Eigenregie veröffentlichten EP 'Phantoms Of The Past' mit ins Boot geholt wurde, hat ganze Arbeit geleistet und so entwickeln die – zu einem Großteil von Gitarrist Carl Delius geschriebenen - zehn neuen Tracks eine immens große Strahlkraft. Selten bekommt man ein Album zu Gehör, das derart eingängig ist, dabei aber auch beim x-ten Durchlauf keine Abnutzungserscheinungen zeigt. Das Coverartwork für ‚God Of Storms‘ wurde von Claudio Bergamin (JudasPriest, Battle Beast) erstellt. Neben der CD sind auch zwei Vinyl-Versionen (Clear Blue – auf 250 Stück limitiert; und Schwarz) erhältlich. 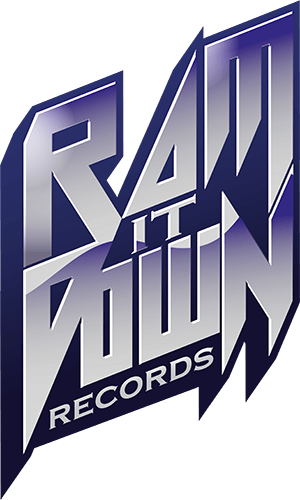 TORIAN signs with Ram It Down Records! TORIAN: New song „Far From Midian Sky“ released!